Check out the MySims SkyHeroes Demo! 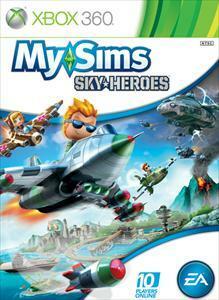 "MySims SkyHeroes brings the thrill and high speed action of flying to the creative, immersive world of MySims. Go from unknown pilot to celebrated hero as you defeat dangerous enemies in aerial dogfights, test your reflexes in fast-paced speed challenges, and take on massive bosses. Team up for split-screen action or in 10-player online matches."